"The First Folio of 1623 is the definitive edition of Shakespeare's plays. It is more often than not the closest we can now get to what Shakespeare actually wrote. But the Folio's antiquated typography and cramped layout make it remote and inaccessible to modern eyes. The Shakespeare Folios on the other hand offer easy access directly to the First Folio by presenting the text in modern type but otherwise unchanged. All the First Folio's idiosyncrasies of layout and spelling, even its obvious errors, have been scrupulously left intact, but the text suddenly becomes as easily legible as the script of any modern play." "As an additional aid to understanding, readers will find, printed opposite each page of the Folio, the very same passage in a modern edition. So, whenever the Folio presents a problem, the reader can refer to this parallel text for a solution, either in the text itself or in the set of notes at the end of the book. 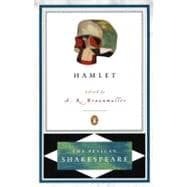 These notes draw on the long tradition of Shakespearean scholarship and include full reference to surviving Quarto texts." --BOOK JACKET.